Last year’s big trend was the ability to view information from your multi-function display (MFD) on your smartphone or tablet. This year, companies have gone beyond just viewing to actually controlling and, in essence, turning your mobile device into a second navigation station. The big trend for 2013 is the commitment manufacturers are making to their software. They are not just fixing problems, they are improving their products and providing feature rich, yet intuitive software. In order to accelerate their product development, manufacturers are now collaborating. For example, Garmin has teamed up with ActiveCaptain, FusionLink now allows you to control your Fusion stereo from most smart devices and Simrad is opening their platform to allow third-party apps. The boater is the big winner because most of these upgrades are included at no cost. If you purchased electronics for navigation over the last few years, make sure you go to the manufacturer’s website and take advantage of their upgrades. If you have decided this is the year to replace your old electronics, or you are a first-time buyer, do some research because this is a good time to get into the market. Boating season is just around the corner and you still have some time to curl up in front of the fire with a good owner’s manual. The Major Players The most popular manufacturers in our area are Raymarine, Garmin, Lowrance, Furuno, and Simrad. They all have different strengths and I compare them based on five characteristics: ease of use, reliability, features, performance and price. Raymarine is one of the most popular manufacturers because boaters value the performance of their units and their radar and sounders are hard to beat. Garmin is the choice for those who value an easy-to-use interface. Furuno has its loyal followers, who value the reliability of the product. Simrad provides a solid alternative, with a strong history of continued innovation. Boaters who demand great value and good performance are never disappointed with Lowrance. With all of this in mind, we have put together a list of the most exciting products we have seen for the 2013 season. The new HDS-10 features a two times faster microprocessor and double the memory of the HDS Gen1 models, making it the fastest HDS yet. With the HDS-10 networked to the optional StructureScan sonar imaging module, StructureMap allows you to easily overlay StructureScan images on top of traditional charts, to provide a real-time view into an underwater structure and its precise location on the map. 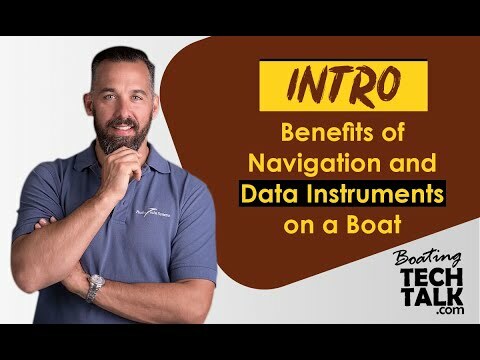 It also allows you to create maps for review on or off the water and is compatible with Lowrance Enhanced Basemap, pre-loaded Insight cartography and Insight HD, plus Navionics and other third-party mapping options. The HDS-10 features an exclusive high-resolution display for exceptional viewing capabilities. The display is sunlight viewable with LED backlighting, split screen and three-window presentation capabilities. It also includes an internal high-sensitivity GPS and WAAS Antenna. The HDS-10 is designed with the fisher in mind. We first heard about this app back in February and expected a summer release, the app is now available and it has some great features. Garmin has advertised this as a trip and planning tool but it does a lot more. The app is free but you have to download the charts that range in price from $29.99 to $59.99. The biggest feature of this app is that for a one-time fee of only $3.99, you can also purchase the premium weather option that includes Nexrad radar and cloud cover. This offers you real-time weather on your charts for the life of the app. Another perk is that Garmin has teamed up with ActiveCaptain to provide access to their cruising guide. ActiveCaptain has more than 100,000 boaters sharing information on everything from cruising destinations, marinas and anchorages to local hazards and areas to be extra careful. BlueChart will allow you to create and edit routes on your iPad or iPhone and transfer them wirelessly to your networked Garmin Chartplotter. It records track and provides celestial data, tide stations, currents, as well as weather conditions, temperatures, wind speed, wind direction, wave height and period. Unlike the Navionics, this app does not provide full navigation capabilities. This is the first fixed VHF with built-in GPS that makes digital selective calling (DSC) functionality easy. The GX1700 has an internal 12-channel GPS built into the front panel so there is no need to wire the radio to a GPS for DSC. Out of the box it will offer you DSC, position sharing, waypoint navigation and navigation to distress calls. The unit is half the depth of comparable VHF radios on the market and Standard Horizon has mounted the built-in wide area augmentation system (WAAS) GPS receiver and antenna on the front panel so you have the flexibility to flush-mount the radio in tight areas. The GX1700 is capable of saving up to 100 waypoints, which can be navigated to by using a unique compass display that shows your vessel’s speed over ground, course over ground, bearing and distance to the waypoint. The GX1700 could serve as a back up to your current navigation system or if you have a smaller vessel that you use for day trips, this could be a life-saver if the weather turns suddenly. Another great option is that the GX1700 can connect to a second station RAM3 remote access microphone, allowing you to control the VHF remotely from your cockpit or fly bridge. This product is not yet for sale in Canada but a company spokesperson told us it should receive approval in the next few months. We believe this is the future of personal safety, and it will save lives. The SafeLink R10 is the first of its kind, a personal automatic identification system designed to attach to a lifejacket and assist in a person-overboard recovery. When activated, manually or semi-automatically, on an inflatable lifejacket such as Ocean Safety, Kadematic, Spinlock or Baltic, the R10 transmits alert messages, GPS location and a unique pre-programmed maritime mobile service identity (MMSI) number within a four-mile radius. The R10 will transmit continuously for 24 hours and has a seven-year battery storage life. An added feature of the R10 is that you can test the product without deploying it. A one-second button activation, recommended as monthly maintenance, will let you know the battery is still working. 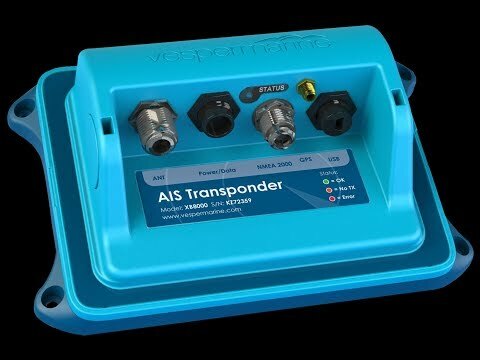 A 10-second activation will send out a test message on the AIS VHF frequencies, allowing you to actually see what an AIS search and rescue transponder (SART) will look like on your AIS plotting system. The NavNet TZtouch is the industry’s first touch-screen MFD with pinch-to-zoom technology, similar to that found on most smartphones and tablets. It comes in a very slick nine inch or 14.1 inch edge-to-edge glass display, which maximizes the viewing area. The LCD offers a fog-free design, which ensures that the display will never be affected by water condensation. As well, the screen will not “black out” when you are wearing polarized sunglasses, providing visibility from any angle. The TZtouch has wireless connectivity to hotspots enabling you to get updates such as real-time weather, while custom apps allow you to view and control the TZtouch wirelessly from any iProduct. Simrad recently announced its next-generation instrument, the new IS40, a single fully customizable “do-it-all” display that offers quick access to wind, depth, speed and autopilot information. Easy to install as a stand-alone instrument or as part of an integrated system, the Simrad IS40 delivers low-power, high-quality, easy-to-use navigational capabilities at an attractive price. This product’s best feature is the incredibly clear full-colour display. It provides a 4.1-inch quarter-VGA, sunlight viewable, LED-backlit display with 320 x 240 pixel resolution that is nearly 40 percent larger than other products in this category. The Bad Elf GPS Pro is not your average compact GPS receiver and datalogger, it is truly next generation. The GPS Pro can connect to up to five devices at a time via Bluetooth, including your iPhone, iPad and iPad Mini. It even works with all of the new Lightning-based iOS devices released last fall. You drive from the upper helm and your crew can follow the route on their iPad in the galley. The GPS Pro is a stand-alone GPS datalogger, so you can use it to record your travels without draining the battery on your device. You can then transfer the log to your iProduct to view your trip and share it with friends and family via email, Facebook or Twitter. To top it off, the GPS Pro meets all requirements under Apple’s MFi program, so it works with any location-based app in the App Store. The GPS Pro provides a battery life of up to 16 hours when connected to your iOS device via Bluetooth and up to 32 hours in stand-alone mode with the Bluetooth turned off. It weighs 90 grams, uses a USB port for charging, includes a detachable neck lanyard and is splashproof. 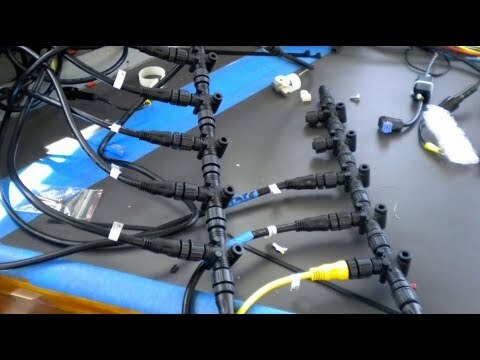 If you have ever wondered what the seabed looks like, then this product is for you. SonarCharts integrates Navionics proprietary survey data with Hydrographic office data and sonar logs received from the Navionics community to provide boaters an unparalleled view of seabed detail. All Navionics users who have access to a sonar device can contribute content. Once the sonar logs are uploaded online at navionics.com, the updated and revised charts are made available within 24 hours. Fellow boaters have discovered never-before-mapped lake bottoms and rivers, detailed underwater mountains, canyons and submerged structures. SonarCharts is available for GPS plotters within Freshest Data (check their website for compatibility) and is free for Platinum+ users. The SonarCharts app for the iPhone and iPad is priced between $4.99 and $9.99 and is available to existing Navionics users through an in-app purchase. 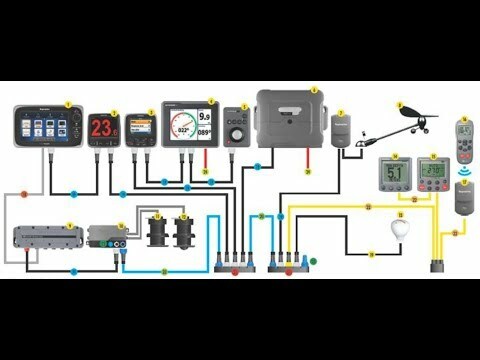 In December 2012, Maretron announced the release of its multi-function 3.5-inch colour display, capable of displaying NMEA 2000 navigational and vessel monitoring information including boat speed, heading, depth, wind, engine, generator, fuel flow, tank, battery, temperature and much more. This new display costs less, uses minimal power, is waterproof, sunlight readable and has 16 user-configurable favourite screens. Like other recently released VHF radios, the RS35 includes a two-channel AIS receiver. The big difference is that Simrad has added NMEA 0183 and NMEA 2000 compatibility. That means if you have an MFD navigation system with NMEA 2000 but you do not have AIS, you could connect the RS35 via its N2K port into the network and you would now easily have AIS without the hassles of NMEA 0183 connectivity. All of the AIS target data would be available on your MFDs. You would also be able to see and track distress calls from the new personal AIS safety equipment like the Kannad Safelink R10. The RS35 also offers a wireless handset option. You can add up to two portable HS35 handsets, allowing you to make and receive radio calls from anywhere on your vessel within a range of up to 100 metres. You can also make intercom calls between handsets or the radio base, to keep your crew in touch. The GPSMAP 741, scheduled for release this spring, has a seven-inch wide video graphics array (WVGA) touchscreen. The manufacturer’s website claims that it provides easy visibility, media integration, autopilot compatibility, radar support, NMEA 2000 and wifi connectivity for easy integration with Garmin’s own BlueChart Mobile. With the integration of a 10Hz GPS/GLONASS receiver, the GPSMAP 741 refreshes position and heading up to 10 times per second, which is 60 percent more processing power than its predecessor. It displays constant and fluid on-screen location and is incredibly accurate when marking and navigating to any one of 5,000 user-created waypoints. A couple of things to note, while this model provides N2K connectivity, it does not network with other Garmin MFD units. As well, it appears to use micro SD cards instead of the full-size ones. At a price point of $1,600, the GPSMAP 741 offers many of the high-end features you would expect in a much more expensive unit. In October 2012, Raymarine announced its new free software, LightHouse v5, for the c-Series, e-Series and the brand-new a-Series multi-function displays. Raymarine has apparently made a real commitment to their long-term and ongoing software development as this upgrade offers a long list of new features and enhancements. The first addition is the new fuel management tool, which allows users to calibrate their fuel tank levels and take advantage of fuel usage displays. It even offers an innovative fuel-range ring that provides a visual representation of the vessel range based on tank levels and fuel consumption. Touted as the most significant feature in this new software is the “Slew-to-Cue” thermal camera tracking which delivers an enhanced level of integration between thermal night vision, radar and GPS navigation. LightHouse v5 also provides video over IP camera connectivity, allowing boaters to view every connected camera on the network. You may be thinking, “How do I set all of this up?” The new software includes a document viewer that allows you to view PDF files alongside navigation functions, so you don’t have to leave the screen to read the manual when you want to change a setting. And if you would like some music to soothe you, the new software includes an all-new MFD audio application that integrates with the Fusion 700 series marine stereo. It’s hard to believe that only 10 percent of the earth has cellular or landline-based phone service and that one-way satellite systems have large coverage gaps. 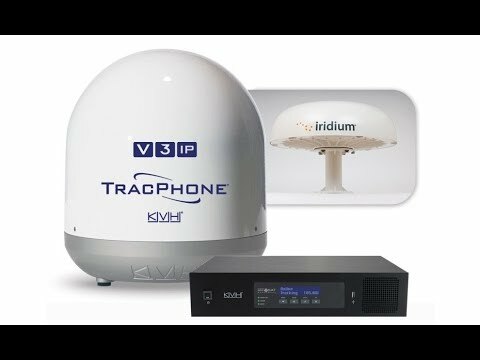 inReach incorporates Iridium, the world’s furthest-reaching satellite network providing pole-to-pole global coverage, and is the first global satellite messenger to provide two-way texting for SOS and personal communication. You can use the inReach by itself to send a pre-loaded text message and GPS location with a simple press of a button or you can connect via Bluetooth to your iProduct or Android smartphone for two-way texting. By pairing with another device, you can describe your situation and help responders better prepare for your rescue. You can also send messages to emails or cell phones, update social media or allow family members to track your progress on-line. This would be a great tool if you were planning on touring Desolation Sound or Princess Louisa Inlet for any extended period. The inReach measures about nine by eight centimetres and weighs only eight ounces. It is waterproof, floats and uses two AA lithium batteries, which last about 60 hours. There is a one-time activation fee and monthly plans range from $14.95 to $49.95 with additional charges for text overages. 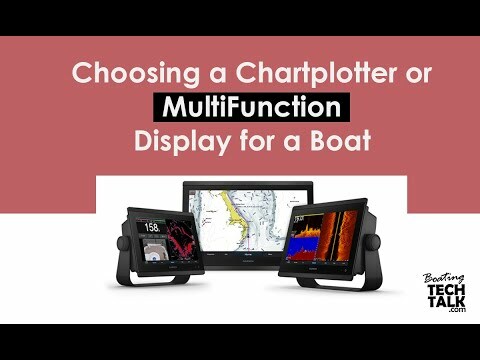 Navico manufactures chartplotters, fishfinders and multi-function displays under the brands of Lowrance, Simrad and B&G. Navico has just introduced a new wifi and ethernet strategy for connecting and controlling the Simrad touch MFD with your iProduct or Android. The app is free but you will need an NSS series Simrad MFD with a software upgrade RTM version 2.5, as well as a Simrad wifi-1 router. This hardware retails for about $199 and can transmit high bandwidth images for sonar and radar. The app enables zooming and panning, radar control, sonar, StructureScan imaging operation and full interactivity with SonicHub entertainment options. It also allows multi-user access from anywhere on a vessel providing simultaneous connectivity with multiple devices. The new a-Series from Raymarine has a 100 percent touch-screen interface, with no knobs or buttons. This really maximizes the viewing space available on this 5.7-inch screen. But don’t be fooled by the size, this small display can still network with up to six c- or e-Series MFDs via SeaTalkHS (Ethernet) and SeaTalkNG (NMEA 2000), including all the compatible sensors. It can also run Raymarine’s digital radars, CHIRP fishfinder and Sirius Satellite Weather. But, unlike the c- and e-Series, the a-Series does not include the wifi connection and control apps. Instead it offers built-in Bluetooth wireless networking, allowing you to connect with your smartphone to control your MP3 music. One of coolest parts of the new a-Series is full control of the Fusion 700 series marine stereos, making it one of the first products to enable FusionLink in an MFD.